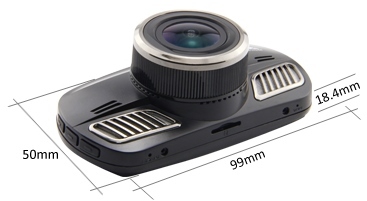 The Dome D201 is a Chinese manufactured dash cam from Shenzhen Dome Technology. 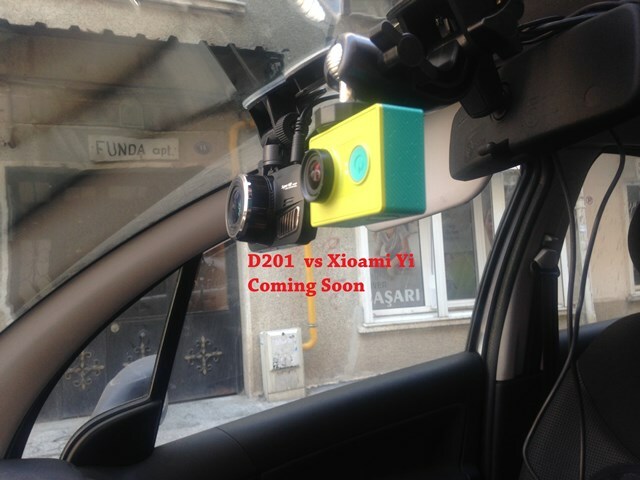 The D201 is one of the first dash cams based on the Ambarella A12A55 processor and OV4689 CMOS sensor. The Ambarella A12A55 is one of the newest Ambarella processors and records at a resolution of 1440p. The video quality during the day is very good and at night it is good. The camera records with an overall bit rate of 19Mbps which supports the good video quality. The D201 has external GPS, G sensor and 2.7″ screen. The camera also comes with Front Collision Warning System and Lane Departure Warning System however like other cameras with these systems, they are more of an annoyance which most users will just turn off. One of the main drawbacks of this camera is size and form factor. The D201 is a relatively large rectangular camera at 99mm x 50mm x 18.4mm. It also has lots of chrome accents on the front and uses a suction cup mount. Definitely not the most discreet camera. One other drawback of this camera is that the filenames do not include the date and time which is common on most cameras. One nice feature of the camera is that it supports up to 512GB MicroSD cards. One of the few cameras to support these large cards. We would like to thank our forum member Sunny for providing a detailed review of the Dome D201 on our forum. Size comparison from Sunny. SJ7000 top left, Dome D201 top middle , Firefly 6S top right, Gitup Git1 bottom left, Dome G90 bottom middle, Firefly 5S bottom right. There have been numerous complaints that the suction cup mount is not strong enough to support the Dome D201. Ensure you are attaching the camera to a clean portion of the windshield below any dotted / tinted area. Another option is to purchase an adhesive mount such as this one from eBay that fits the D201. The Dome D201 has excellent video quality given its Ambarella A12A55 processor. Build quality is quite good and the camera includes GPS. 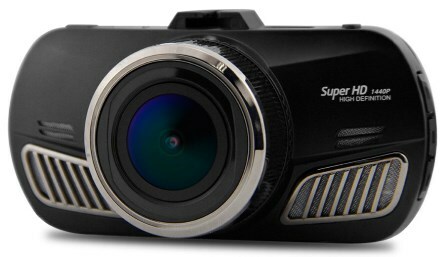 The price is reasonable given the video quality and initial reliability has been positive. Unfortunately the camera is quite large and the rectangular form factor is not discreet. Also the suction cup mount is not the greatest. If size and discreetness are not concerns, the D201 is an all around good camera especially the video quality. See what other owners have to say about the Dome D201 on our forum. The Dome D201 sells for approximately $120. Note that some firmware files come with a “bst_bld_sys_dsp_rom.elf” file. To update the firmware with this file instead of the .bin file, you will need to use the DirectUSB software. Some users have created custom firmware with higher bit rates. Final Word Excellent video quality for the price but camera is not discreet.